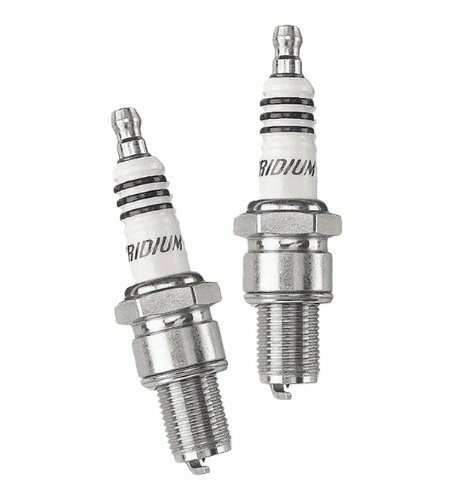 Best Spark Plugs for Harley Davidson Reviews: Top-5 in April 2019! Its all about the spark plug, those small, tough critters that screw into your engine and deliver the punches of electricity to ignite your fuel-air mix for that perfect combustion engine performance and sound associated with your Harley. Basically, spark plugs are simple devices, but highly accurate and made of materials that must withstand extreme forces of heat, vibration, and electricity. They have to be strong enough to withstand years of abuse, and elastic enough to withstand years of constant vibration and jarring. A good spark plug will be built for endurance and performance and have high-grade metal tips to withstand constant sparking. The materials must be constructed with compatible coefficients of expansion so that the heat will not cause them to crack or break apart. As you can now ascertain, that solid little plug is much more than it seems. Maintaining a plug is imperative, and there are signs of wear and tear that will help you understand what the problem is and how to fix it. In the following list, I present to you the major issues associated with spark plugs. When you encounter such an issue, you have to consider cleaning or changing your plug. Replacing spark plugs before their expected expiration is the best way to assure a safe and healthy ride for you and your engine. Now, let’s take a look a the list that was nicely made up by the people at Briskusa.com, they also supplied four photos to show the plugs appearance, take into account these are all plugs that have been in use for a year or over. One of the keys to success is making sure the gap is correct, and this is done by checking it with a standard spark plug gap tool. When you need to expand or reduce the gap, remember that the force you need to exert must only be on the spark plug ground electrode strap. Never ever apply any force on the spark plug center electrode or center electrode ceramic insulator. Another rule is that you should never change the gap more than three times in the plugs lifetime, and never more than .008″ in either direction. Another rule to remember is that you never exceed .055″ beyond the manufacturer’s tolerance unless this is already pre-set by the manufacturer. inch .016" .020" .024" .028" .032" .035" .039" .055" .059" .063" .067"
Now let’s take a look at some of the best Spark Plugs for Harley Davidson motorcycles. The NGK plugs are made from a fine wire center electrode that comes with a Copper Core and an Iridium Alloy tip. The nickel electrodes have an Extremely High Melting Point and come with a Trivalent Metal Plating sealed in a Pure Alumina Silicate Ceramic Insulator with Corrugated Ribs. These spark plugs provide extreme thermal resistant properties, excellent electrical insulation characteristics and are designed to withstand a lot of vibration and knocking. The threads are 12mm at a 1.25mm pitch, and the seat is a gasket type. Thus, the model comes with a 5K Ohm resistor and has a reach of 19mm ¾”, the gap is .031″ (0.8mm). The terminal uses a removable nut, and the overall height is rated as JIS. This is a generic make that fits many applications, even so, check before you install any spark plug, and make sure the gap is to manufacturer requirements before sealing the plug-in place. 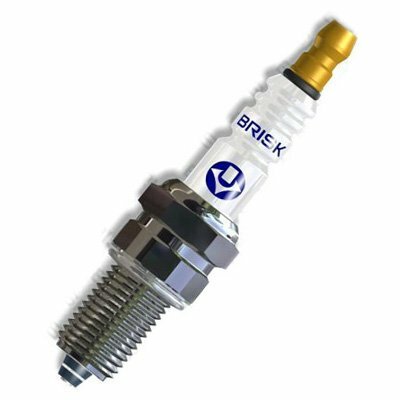 This is the Brisk performance spark plug BR14ZC for 1986 above Twin Cam/Sportster. This Brisk plug replaced the Harley Davidson 6R12. This is not an exact replica of the 6R12; it is a 360o electrode compatible that delivers excellent performance. Brisk electrodes are specifically designed for every application; as such, this model is engineered to produce performance upgrades in Harley Davidson 1986 above Twin Cam/Sportster applications. This model comes with 2 auxiliary electrodes that provide a multi-spark for extreme sport ignition requirements; essentially you get a spark that flashes over the entire electrode tip, 360° performance. This is a performance series replacement plug for the standard 6R12 since it’s a Brisk model, you cannot go wrong using this to replace the factory original or any previous spark plug. This is the E3 Spark Plug E3.36 Powersports Spark Plug for 2014-2016 Street Glide Special FLHXS motorcycles. The E3.36 comes with 12mm, ¾” reach the plug and uses a gasket seat design. This model is used in the more modern Harley Davidson bikes, and as such, it is engineered specifically for these applications. This model comes with the patented DiamondFIRE ground electrode, this electrode uses to legs to attach to the shell, and this optimizes heat transfer, as well as provide additional absorption of intense vibration. This model comes with a 5K Ohm resistor and has a 5/8 hex. The electrode is a copper core nickel model, and the gap is rigid and preset, so you cannot (must not) adjust it. This is a bespoke spark plug for very specific applications, it can only be used on 2014-2016 Street Glide Special FLHXS models, and is the best spark plug for them too. This is the Champion Spark Plug RA8HC for Harley-Davidson Street Glide Special FLHXS 2014-2016 models. 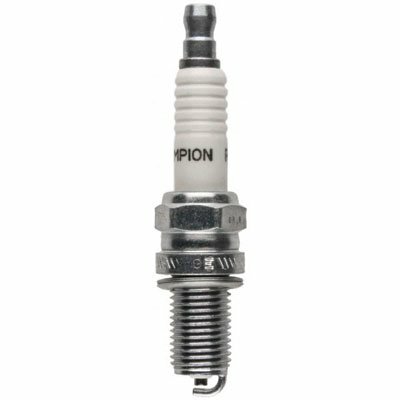 Champion motors is a leader in spark plug innovation and development. They are the original company that created the first commercial spark plug way back over a century ago. This model is their bespoke spark plug model for all Harley-Davidson Street Glide Special FLHXS 2014-2016 models. This is a copper core spark plug that uses nickel alloy electrodes and thermal bonding, to create a wider insulator base, with a long insulator nose. The nut is non-removable. This spark plug comes with an 8-heat range rating and has a standard 12mm thread with a 5K Ohm resistor. If you own a Harley-Davidson Street Glide Special FLHXS 2014-2016 model bike than this is the plug for you, and you really shouldn’t use any other model. This is a proven and great spark plug at a great price too. This is the Brisk BR14YS-9 model for 1986 above Twin Cam/Sportster applications. This is another Brisk plug that replaces the Harley Davidson 6R12. This is not an exact replica of the 6R12, but like the BR14ZC it has a 360o electrode that delivers excellent all-round performance. Brisk electrodes are specifically designed for every application, as such, this model is engineered to produce performance upgrades in Harley Davidson 1986 and above Twin Cam/Sportster applications. This model also comes with 2 auxiliary electrodes that provide a multi-spark for extreme sport ignition requirements, essentially you get a spark that flashes over the entire electrode tip, 360° performance. 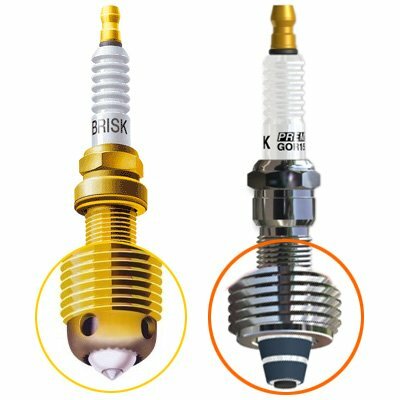 This is a silver series replacement plug for the standard 6R12, since it’s a Brisk model, you cannot go wrong using this to replace the factory original or any previous spark plug.